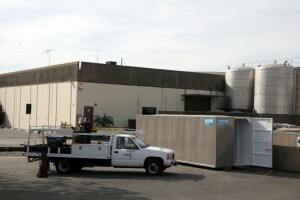 If you’re seeking out Conex containers in the Los Angeles area, look no further than Haulaway Storage Containers. We offer a wide range of quality steel storage containers that are weather-resistant, durable, and ready for shipment at any time. Whichever type of Conex shipping container you need, Haulaway has you covered, offering cargo, shipping, and roll-off containers in multiple sizes and configurations according to your needs. There are many different uses for a Conex shipping container, whether you’re moving, renovating your home, or simply need somewhere to temporarily store items out of the way. Even if your outdoor space is limited, the smallest Conex container we offer is only ten feet long and will easily fit in most driveways or yards. And whether you need the container for a single day or throughout a multiple-year project, Haulaway has you covered. We work directly with you, and offer both on-site and delivery services for your Conex containers in the greater Los Angeles area. Let us help you streamline the process of your temporary storage needs by placing the container exactly how you’d like, as well as deliver it afterward according to your preference. You will be able to rest easy knowing your possessions are protected by the consistent durability of a quality steel container. Our office serves the greater Los Angeles area from the nearby town of Stanton, at 11292 Western Avenue. You can contact us via our website at www.haulaway.com or call us on the phone, toll free, at 800-826-9040. Allow us to make the shipping process as simple and easy as possible by letting us know your specific needs. Any inquiries made during business hours will be answered within fifteen minutes! Call today or visit our website to see the range of Conex containers for sale.